Exercise with your baby AND get back to your pre-baby weight fast! For new moms, this is the ultimate win-win! 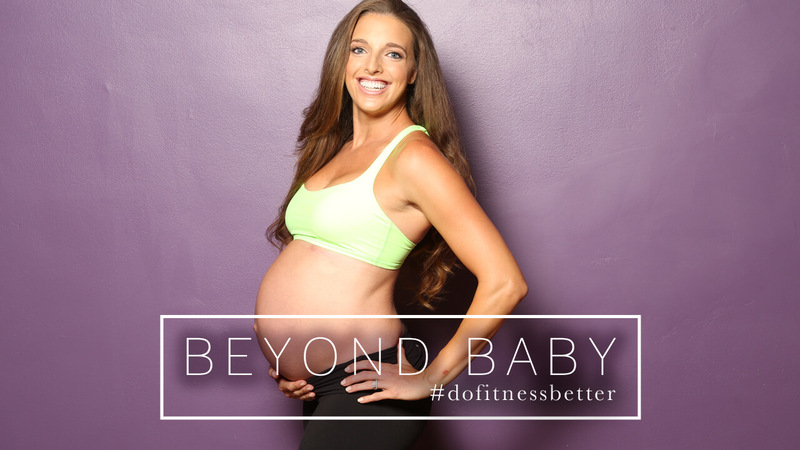 As a new(ish) mom myself, I understand the mountain of obstacles that new moms face when it comes time to burn that baby weight and get back into shape. You want to look good, feel great and have the energy you need to keep up with your little one, yet sleep deprivation and crazy infant feeding schedules (on top of the million of other things you have going on) make it tough to get in any kind of routine. According to a study in the Journal of Science and Medicine in Sport, mothers with young children are less likely to get even the minimum amount of exercise they need to stay healthy than women of similar age without kids. New moms have to figure out how to take care of their little ones while also taking care of themselves! Time is limited for busy moms. Our time is so short to exercise and it’s also short to be with our kids… but if you can combine the two?! That’s the best of both worlds! Here are 3 of my favorite Stroller Exercises, plus a full 15 Minute stroller workout video below! Stroller Push-ups – Find a bench and park your baby’s stroller safely beside you. Facing the bench, place your arms shoulder-width apart on it. Keeping back and abdominals strong, lower your chest to the bench and then press back to the starting position. Keep your body in a straight line. Advanced: Ditch the bench and crank out some full body push-ups on the ground! Stroller Lunges – Stand behind your stroller with your hands on the handlebar shoulder-width apart. Lunge forward with one leg, pushing the stroller out in front of you. Your knee should be directly above your ankle and your thigh parallel to the ground. Return to the standing position and lunge with the other leg. Stroller Squats – Stand behind your stroller with your hands on the handlebar shoulder-width apart. With your feet and knees forward, squat down as if sitting on a chair, keeping your weight in your heels and your knees directly above your ankles. (Be careful not to put weight on the stroller; you don’t want it to tip.) Squeeze your rear end and return to the starting position. You don’t have time to waste. You need a reliable, REAL LIFE postpartum fat-loss system that will give results you can see and feel in just a few hours a week. Don’t waste any more time starting yet another diet which fails you. I’m here to help you unlock the BREAKTHROUGH SOLUTION you’ve been searching for…Beyond Baby!